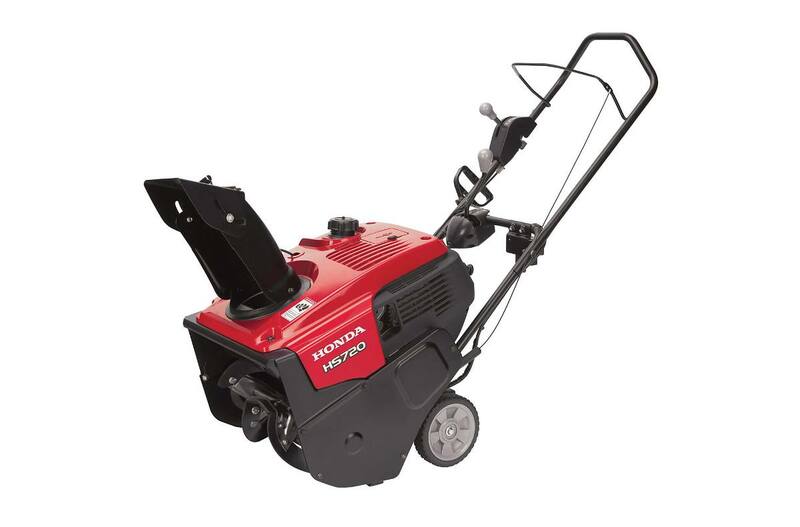 Powerful, easy to start, fuel efficient Honda engine: The Honda GC190 OHC engine offers plenty of power to churn through the snow. Starting is easy - even in cold weather. Convenient 120-Volt electric start: Simply plug in an extension cord, start the snow blower, unplug, and go! Recoil start is also included as a back up. 4 stroke engine - No mixing gas and oil: No mixing, no two-stroke smoke and stink, lower emissions, and better fuel economy. 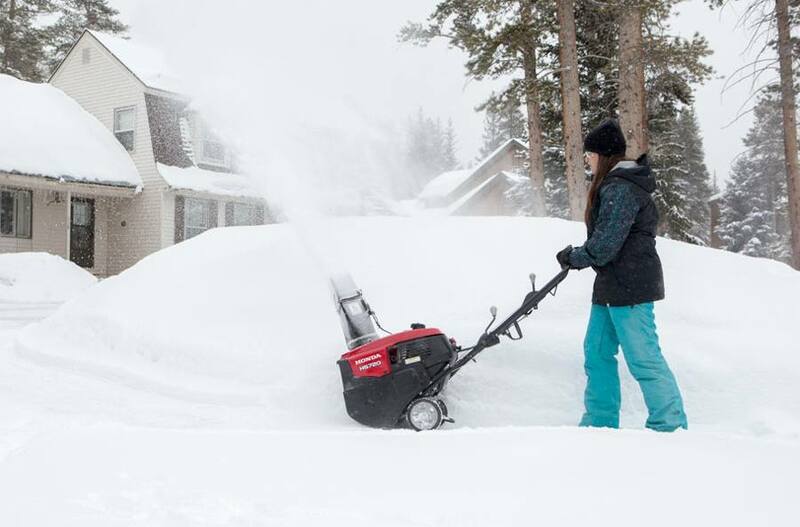 Easier snow removal with auger-assist drive: Honda uses a rugged, durable metal auger with replaceable rubber paddles to make quick work of residential snow removal. The auger assist drive helps move the HS720 when the rubber-edged auger contacts the surface. A gentle upward pressure on the handle starts forward motion. 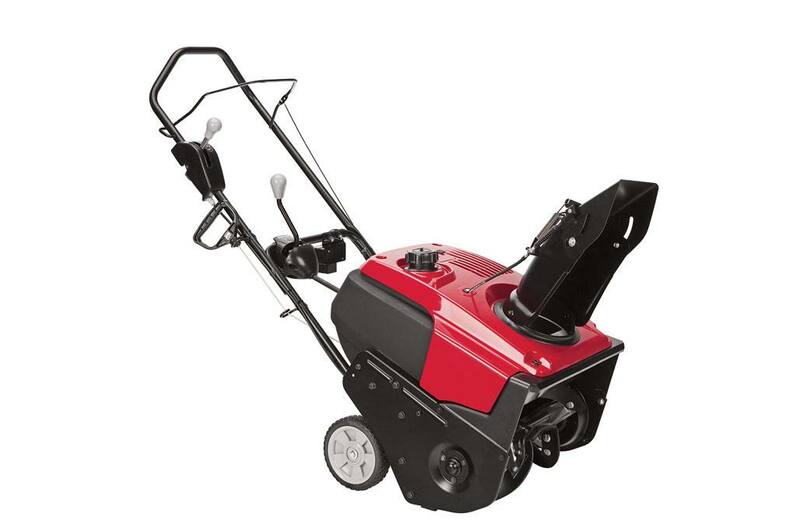 High capacity snow removal - up to 1800 lb./min, throws snow up to 33 feet: Don't let its small size fool you. The HS720 has the snow-clearing power of a snow blower twice its size. Just like you'd expect from a Honda. Convenient and simple Snow Director™ chute control: A conveniently located remote chute control determines the direction of snow discharge. The deflector can be adjusted from left to right 204 degrees. Easy to adjust distance of snow discharge: Just move the Snow Director™ control up and down to adjust the distance of snow discharge. Heavy duty metal auger housing - stands up to harsh conditions: Reliable, rugged construction featuring a bearing supported auger for dependable performance through demanding conditions. Large wheels for easy transport: Easy transport to and from storage makes the job easier. Operator friendly controls with large on off switch: Managing your snow removal is simple with easy to access controls. The ignition switch, manual choke, starter grip and fuel cap are conveniently located for easy access. The starter grip is extra large to accommodate gloves or mittens. The access panel allows easy and safe operation, even with gloves on. "Glove friendly," large fuel tank cap: The large fuel cap and fuel opening make it easy to re-fuel, even with gloves on. The unit has a fuel shut off valve for safe storage. Easy to maintain: The HS720 is designed for ease of maintenance. Draining the engine oil and fuel are easy, saving time, frustration, and mess. The spark plug is very easy to access for replacement. Light and maneuverable: Compact and convenient, the HS720 offers the performance of a larger snow blower with the benefits of a single stage unit. Automatic decompression for easy starting: This system relieves compression in the engine during starting and then closes automatically to ensure full power after the engine starts. Chute Turning Radius: 204 deg. Max. Discharge Distance: 33 ft.
Dimensions (L x W x H): 49.6 in. x 20.9 in. x 40.6 in.